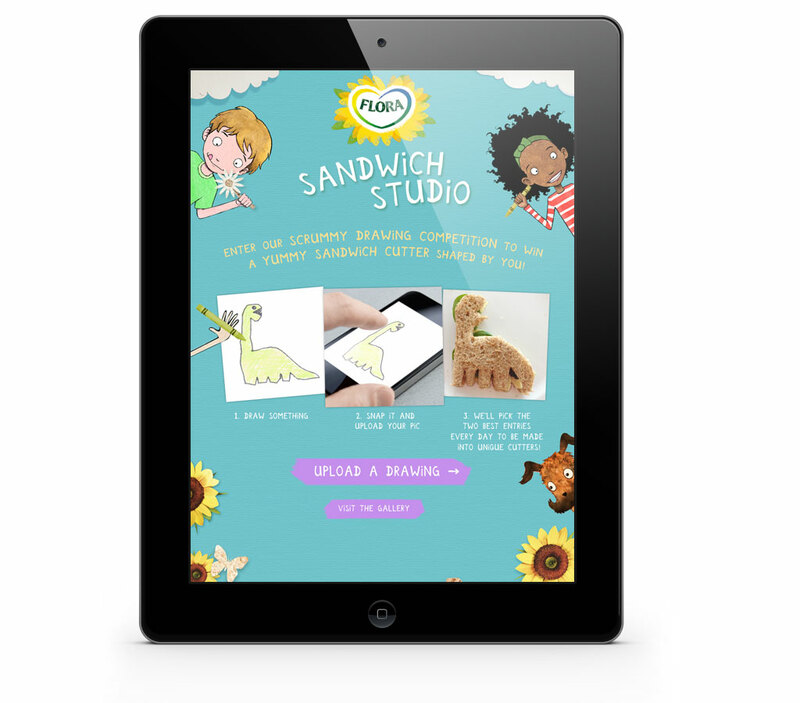 Flora Sandwich Studio: Flora were looking for an innovative way to reclaim lunchtimes with a specific focus on mums using Flora Buttery in their children’s sandwiches. Taking inspiration from our in-house 3D printer Flora Sandwich Studio was born, giving kids the chance to create their own sandwich cutters putting fun back into the lunch box. 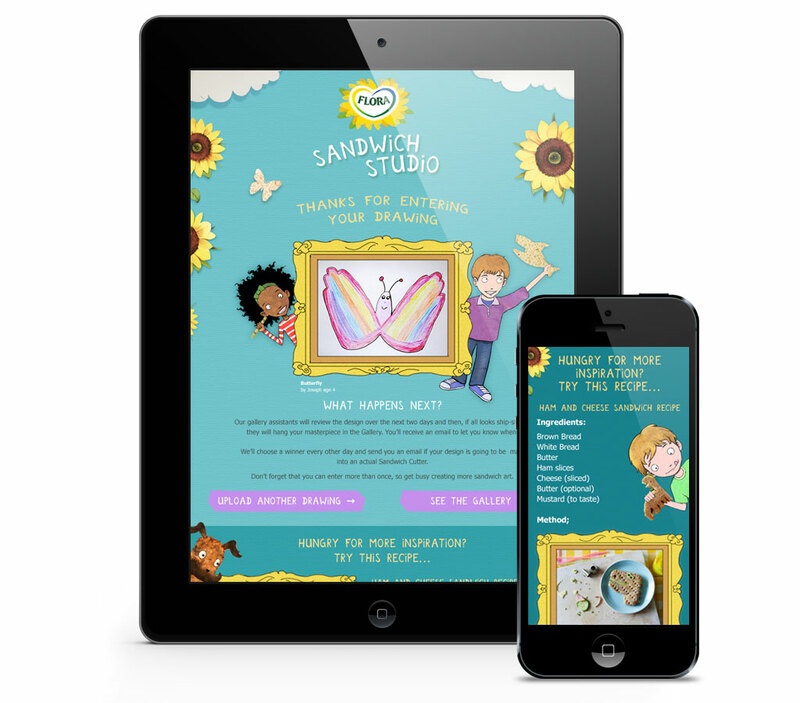 My involvement: I worked as the lead designer on this campaign, creating the Sandwich Studio app which lived on Facebook. The look and feel I created was also used across Facebook posts, emails and on the flora.com website. Additionally, I art directed the sandwich photo shoot, to create images that would be used both throughout the Sandwich Studio app and also on the flora.com main brand site.